Yesterday I showed you how to make some Pottery Barn Kids inspired oversized vintage flaschard art for our playroom. Below that was a bench I made from The Handbuilt Home book by Ana White. 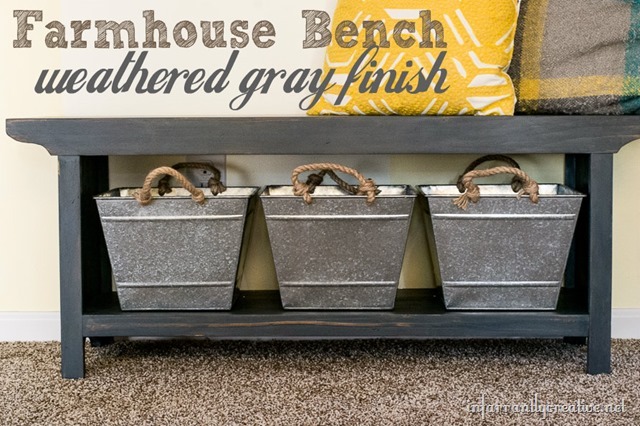 I saw the Farmhouse Bench on page 76 and knew it would be perfect to use as seating for our kitchen table and provide extra storage with the bottom shelf that would blend in seamlessly in our playroom.